The slain militants have been identified as Abid Wagay, a resident of Rawalpora Shopian, and Shahjahan Mir, hailing of Amshepora Shopian, a police spokesman said. 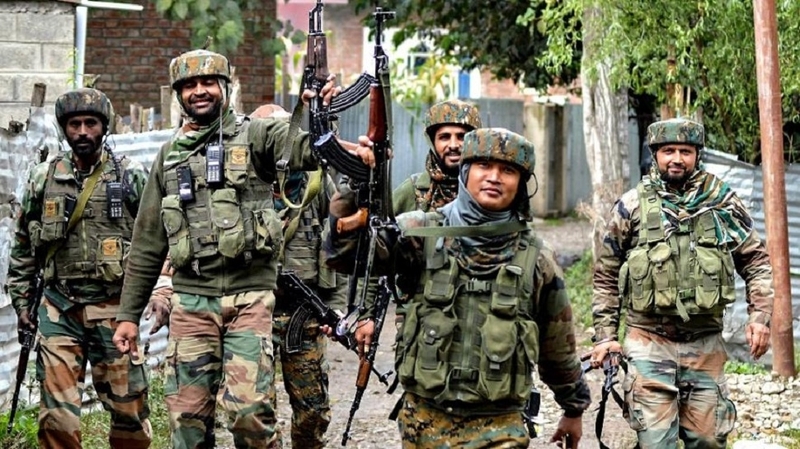 Based on a credible input about the presence of militants in Gahand area of Shopian district of south Kashmir, a cordon and search operation was launched by security forces there on Saturday morning, the spokesman said. He said during the searches, the militants fired upon the security personnel who retaliated. Two militants were killed in the ensuing encounter. Bodies were retrieved from the site of the encounter and incriminating material, including arms and ammunition, were seized. According to police records, both of the militants were affiliated with proscribed terror outfit JeM, he said. “They were wanted for their complicity in a series of terror crimes including attack on security establishments and civilian atrocities,” he said. They were involved in the abduction and subsequent killings of civilians Firdous Ahmad of Batgund and Nissar Ahmad of Kapran and policeman Balwant Singh of Batgund last year, the spokesman said. “They were also involved in the killing of Khusboo Jan at Viel Shopian earlier this year. Moreover, both were also involved in the killing of a civilian Tanveer Ahmad of Bemnipora at Kachdoora in Shopian. “They were also involved in arson and setting ablaze panchayat ghars at Kanjiullar and Ramnagar,” he added. The spokesman said Mir was also involved in snatching of weapons and killing of four police personnel at Arhama Shopian last year. “He (Mir) was also involved in attack on police station Shopian in which one cop Saqib Mohi-ud-Din had attained martyrdom and his rifle was snatched”. Several cases were registered against both of them for planning and executing terror attacks on security establishments and killing of civilians in the area, the spokesman said. “With the efforts of police and other security forces, it was a clean operation and no collateral damage happened during encounter,” the spokesman said.